Following on from my initial post about ‘The Trip’ I came up with a cunning plan. I decided that I could gather together all of the posts I write on the topic to compile a best selling travel book and become uber famous and a millionaire as a result! Whilst waxing lyrical about my travel book, daughter no.1 interjected a little sanity and pointed out that so far my output was very short and so not technically a book … more of a pamphlet really. She also helpfully pointed out that the ‘travel pamphlet’ currently contained precious little in the way of actual travel. The younger generation simply have no VISION, I tell you! So here is the second installment of my ‘… pamphlet’. I have aspirations of it becoming a ‘booklet’ in the near future. We have often mused, the husband and I, that we would be the world’s worst Amazing Race contestants. After 22 years of marriage we have achieved a certain level of telepathy but have also firmly established that we are both pretty bloody minded. We often joke that we have saved two other people from a life of misery! We frequently wade into well-trodden arguments that are usually resolved with the ‘buyer beware’ clause. It goes something like this “I was like this when you married me and I’m not about to change now so get over it”. The rational being that if you purchase something that turns out to be exactly what is says on the wrapper, the goods cannot be returned and refunded. I would like to think that our relationship is relatively robust but an OE is a whole new level. It is most definitely a challenge to see if 22 years of marriage will make it to 25. To be honest, I think the cycling aspect could be the saving grace as it provides the wonderful ability to be together but at the same time be apart. There is general cameradery but at the same time it is very difficult to talk to each other while riding – a feature that I know particularly appeals to the husband. There are also complexities resulting from the fact that we have totally opposing likes and dislikes. I like vegetables and the husband likes meat, I like camping and the husband likes hotels, I like warm and the husband likes cold. Creative solutions and compromises will need to be sought. Luckily, vegetables and meat co-habit quite well if the meat is added later and the hot/cold issue can generally be resolved with clothing quantity and an all-seasons down sleeping bag versus a sheet, but the accommodation problem is challenging. We used to go camping when the kids were younger, against the Husband’s preference, but the key driver of available funds was very persuasive and the deal clincher. 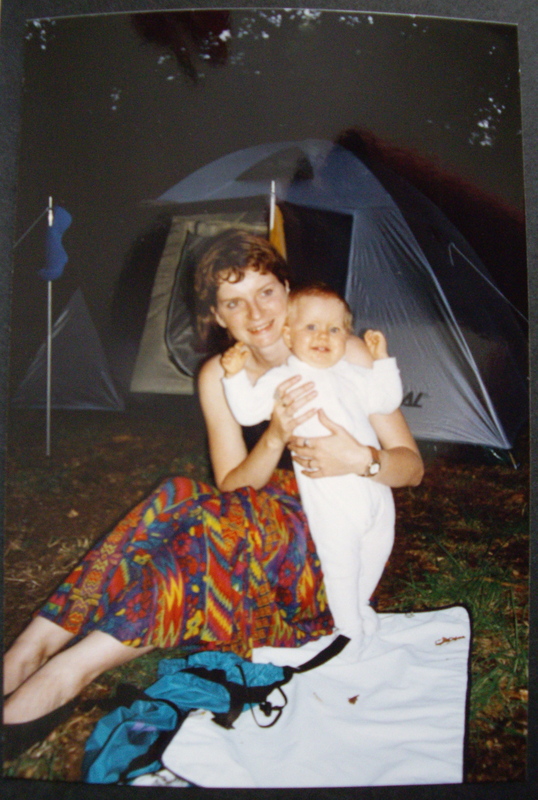 However, the incident of ‘the vomiting child’ on Rottnest Island in Australia, in which daughter no.2 managed to contaminate all bedding apart from one sleeping bag, eradicated any chance of sleep or warmth for the remainder of the night, and camping as a ‘modus operandi’ for any future family trips. Personally, I find hotels to be generally bland, devoid of personality and globally generic – once you’ve seen one in any particular chain, you’ve seen ’em all. I also stay in quite a few for work so for me hotels have associations of sore feet, loneliness and sad little meals-for-one. Given that the OE is intended to be twelve months long, our old friend ‘available funds’ once again raises is ugly head. Some mutually agreeable split will need to be negotiated … The question now is should I go into negotiations with high aspirations, aware that I’ll be beaten down, or go in with a rational suggestion. There are 7 days in the week so a 3/4 split between roof and canvas seems appropriate but who gets the 3 and who gets the 4?